Rejoice Always is a 50 x 50 inch art quilt. 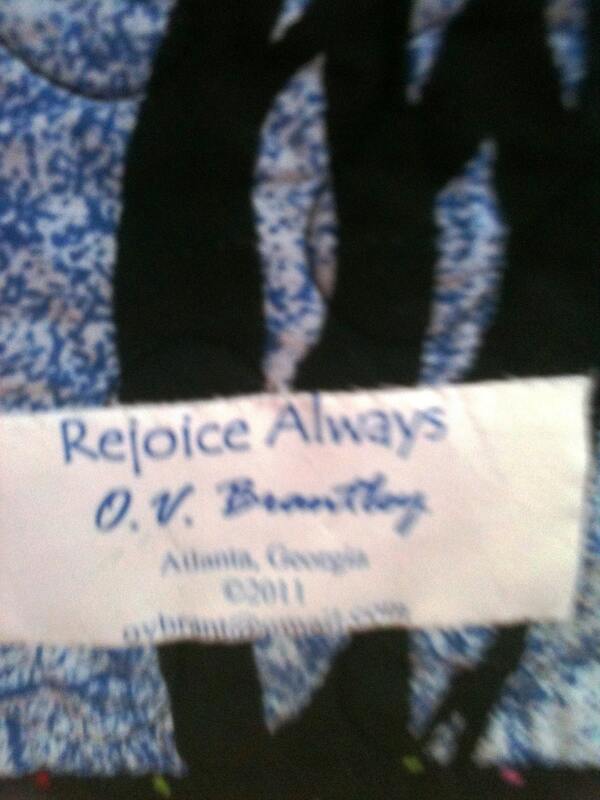 This quilt is a reminder that no matter what is going on in your life, there is reason to rejoice. 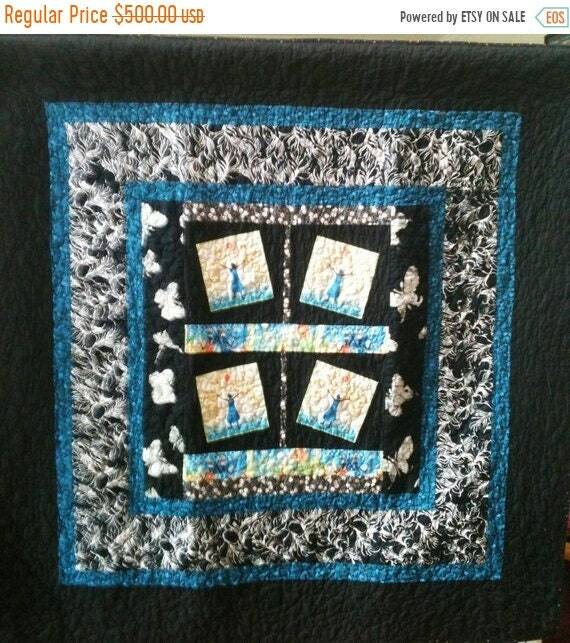 The dominant color of the quilt is black. However, the blue dress of the girl in the quilt and the binding of clorful small hearts give the quilt sparkle. It is machine pieced and machine quilted. 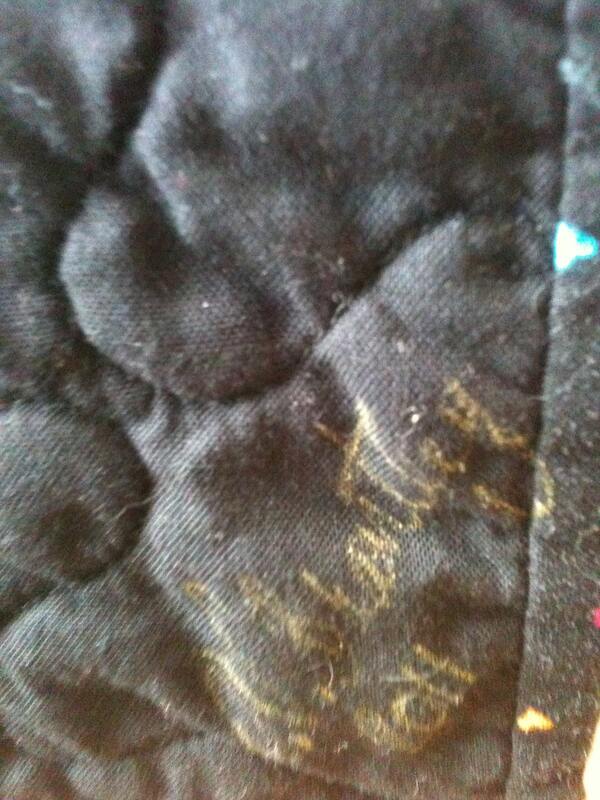 It is signed on the front by the quilter O.V. Brantley. A label on the back documents the quilt. There is a hanging sleeve on the back for easy display. 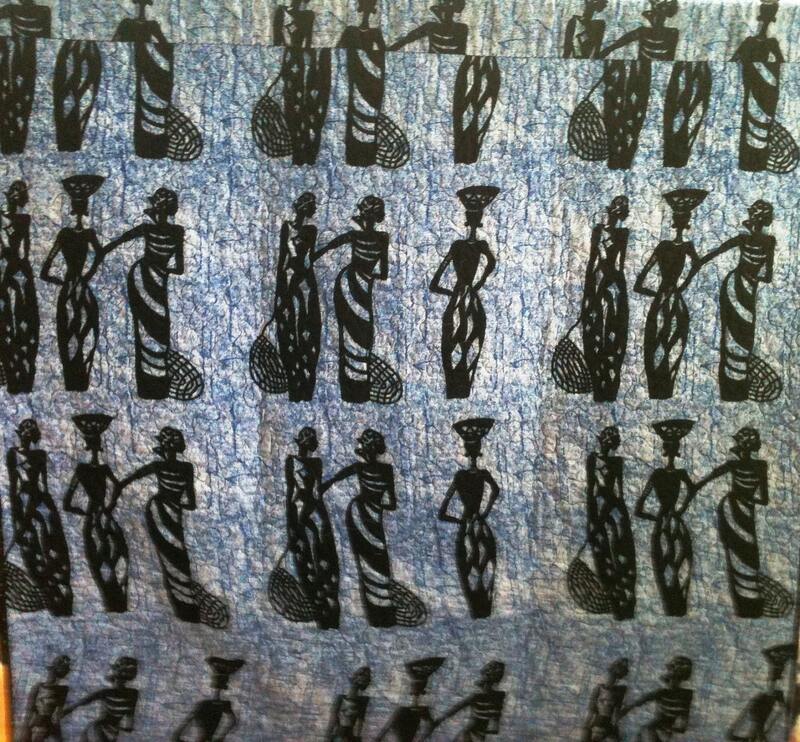 The fabric on the back depicts African women in black silhouette on a blue background.